Former U.S. Rep. Beto O’Rourke is making an early impression in Pennsylvania, a late-voting state that may yet play a role in the crowded 2020 Democratic presidential primary contest. An animated O’Rourke spoke Tuesday for 50 minutes to a crowd of hundreds in a Penn State auditorium, promising to take his campaign everywhere, including Republican strongholds. Later, speaking to reporters, he suggested that he’d support doing away with the Electoral College. 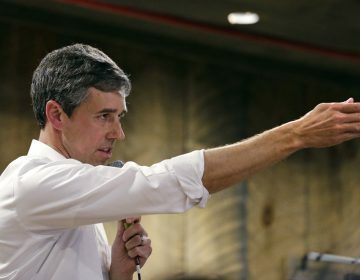 The Texan’s appearance was easily the splashiest of any Democratic presidential hopeful who has ventured into Pennsylvania this year. He attracted a bank of TV cameras and waded patiently through a crowd of hundreds of fans in Penn State’s student union who shouted questions or sought autographs, selfies and handshakes. 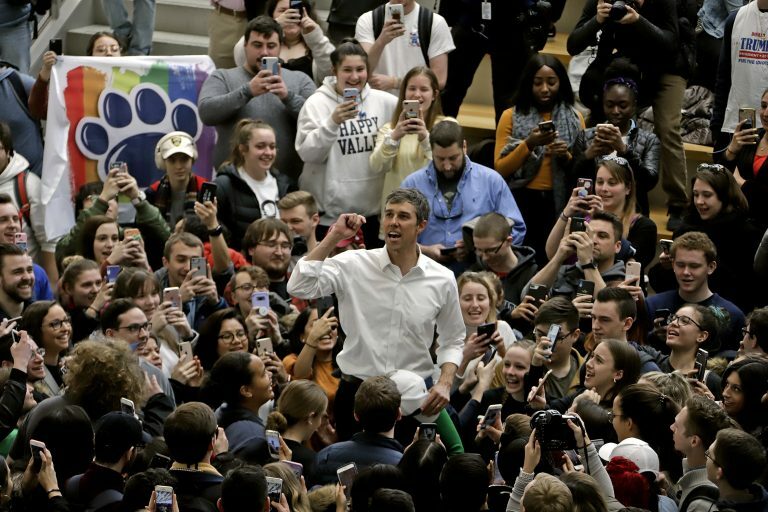 Many who came to see him said they were drawn by his youth — he is 46 — and his rising star reputation after he narrowly lost his bid for U.S. Senate in Texas in November’s election. They didn’t leave disappointed, struck by his willingness drive his own car, mingle with crowds and answer questions, including one criticizing him for spouting platitudes. Later, on his way out, he told reporters that “there’s a lot of wisdom” in scrapping the Electoral College system, saying it puts some states out of play in presidential elections. 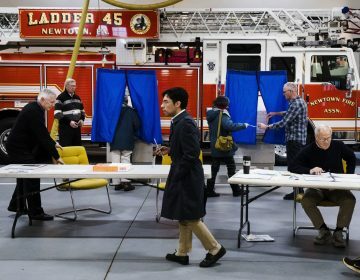 O’Rourke suggested that changing the Constitution to adopt a popular vote for president would ensure that every voter counts. O’Rourke made his stop in Pennsylvania on a seven-day, six-state tour before he climbed into a minivan and, taking the wheel, headed to the early voting state of New Hampshire. Onstage in Pennsylvania, he fended off a question suggesting his voting record in Congress didn’t reflect his “big ideas,” echoing criticism from some that he was too moderate in Congress. “It is captured, it is corrupted, it is being attacked from without, it is being attacked from within,” he said. “That is the term the scientists use,” he said. 2019 PA Leadership Conference attendees said they see a clear path to repeat a Trump win in Pennsylvania in 2020. To some Democrats, a candidate must show strength in a Pennsylvania primary, since the state is a must-win in 2020. 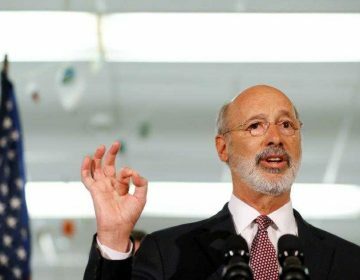 Pennsylvania Governor Tom Wolf has an ambitious second term lined up which includes criminal justice reform, $15 minimum wage, and progressive gun legislation.